Ever since the announcement of NuGet I've been intrigued by the potential it could bring to enterprises building software on the .NET platform (one could call them big boring companies). 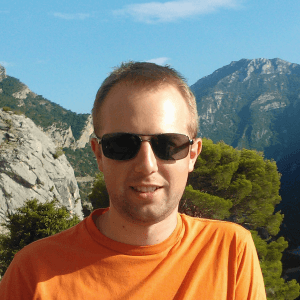 I considered setting up a private NuGet server at both RealDolmen (my employer) and one of our customers, and it happens to be that many colleagues found it a great idea, including Maarten Balliauw. We got talking during TechDays Belgium about how useful this could be at our company, and at some customer locations, and if you know Maarten a bit, you can expect we ended up quite fast with our heads in the cloud! Yep, you heard it! NuGet-as-a-Service! What about having some site in the cloud where you could just create your own feeds with your private packages? You can come up with some awesome features that could make this idea into a product that could work for anyone. To get us started in this direction, we bring you MyGet! MyGet is a NuGet server hosted on Windows Azure that allows you to create and manage your own private NuGet feeds. Just register an account and start creating your own private named feeds. Every feed can be uniquely composed from different NuGet packages from different sources: you can pull packages from the official NuGet Gallery, you can upload packages, and in the future (we hope) you will be able to create packages from within the site as well! If you want, you can also check out Chuck Norris' feed on Maarten's blog to get you started immediately. We believe the future is bright in the cloud, but please, let us know what *you *think!